Are you a Google Iron Chef? 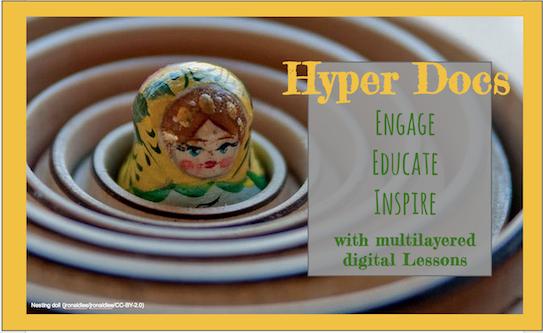 Click HERE to learn more on a HyperDoc tour. A multimedia text set is a collection of lessons, various texts, and resources based around a topic or theme. It can be an amazing tool to build background knowledge, shift pedagogy to exploration of content rather than lecture, or even a tool to flip lessons. HyperDoc lessons can be a part of a Multimedia Text set- one of the options to choose from in a table.